UK’s up and coming R&B artist Ama Lou took the stage in Toronto last week opening for Jorja Smith for two sold out shows. 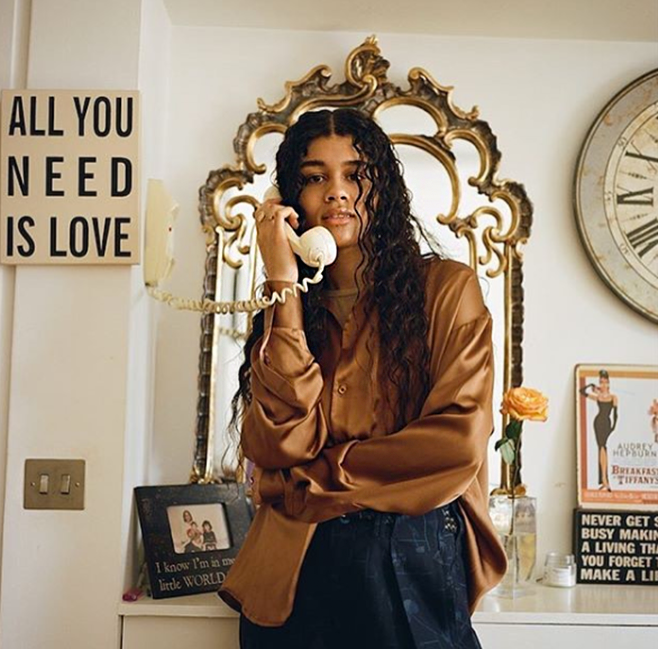 While her repertoire may be a bit shy in numbers this 19-year-old Londoner has been making waves since her 2016 debut single “TBC”. Lou’s at times political messaging, wide range of vocals, and poetic lyrics paired with minimal compositions are worthy the notice, very few people can truly produce with restrain. Just a few weeks ago Lou release her EP titled DDD (Dawn, Day and Dusk) adding another three banger tracks to her small collection. The show started right on the dot at 8pm and by this time the venue was already packed front to back. Safe to say people were here to see Lou just as much as Smith. Dressed in oversized simple shirt and loose pants Lou was swaying around the stage like a tall timid tree. On the right she was joined with two male backup singers dressed in matching black hoodies with staple moves adding variety to the show and occasionally joining the young singer for a group routine. In the short 30-ish minutes Ama Lou went through nearly her entire collection of songs, each received with cheer and excitement. DDD is short and sweet, too short really, now there’s nothing else to do but patiently wait for her next poetic set of compositions.